As creatives we know how hard we can be on ourselves. We start looking at other filmmakers on the internet who seem to have it all together and we think we’ll never arrive like they have. And before you know it we’ve talked ourselves out of even starting. Well it’s time to get out of your head and to speak positive about your dreams as a filmmaker. We’ve listed some affirmations below to start you off on your day or even blurt out while your knee deep in creating. 1. I am a unique creative filmmaker that will inspire other women to use their voice. 2. I am a risk taker, willing to develop my own Filmmaking style rather than copying others. 3. I will not make excuses or wait on others in order to develop my Filmmaking skills. 4. I am directing screenplays that have never been seen before that are penned by my own hands. 5. I am connected to a creative tribe that will push me to my full potential as a filmmaker. 6. I am a filmmaker that wears her art on her sleeve. 7. I am a filmmaker that operates with integrity never stepping on top of others to reach my own agenda. 8. I’m not afraid to ask for help and I recognize the power in collaboration. 9. I am inspired by human interaction and I will make time to disconnected from social media. 10. I’m destined to be a filmmaker and it’s never too late for me to start this dream/journey. 11. I have all the resources needed for my project. 12. I will not compare my projects to any other filmmaker. I will focus on creating in my own lane. If you have your own affirmations to share drop them below and inspire another woman in our collective. 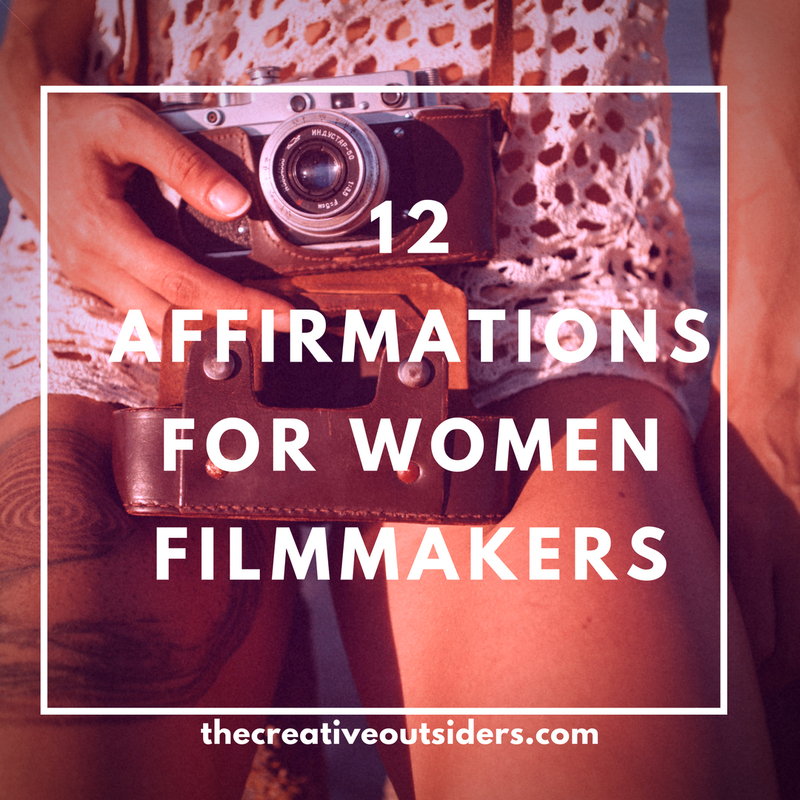 Posted in Filmmaking Resources and tagged affrimations for filmmakers, director, dreams, mantra, purpose, screenwriter, women in film. Bookmark the permalink.